I’ve learned over the years that the best way to decide what to do in a new place- i.e. how to get around, where to stay, what sights to see, which activities to do, etc.- is to talk to people that have been there before. A revolutionary idea, I know… Thus it was that upon my arrival in Bolivia, I began asking those very questions to those I came across that had been there for awhile. I hadn’t done much research on Bolivia (Mainly because I like having an ability to be spontaneous in my itinerary. What’s the fun of traveling if you’ve already got it ALL figured out? ), and literally had no idea what I was going to spend my time doing while in the country. 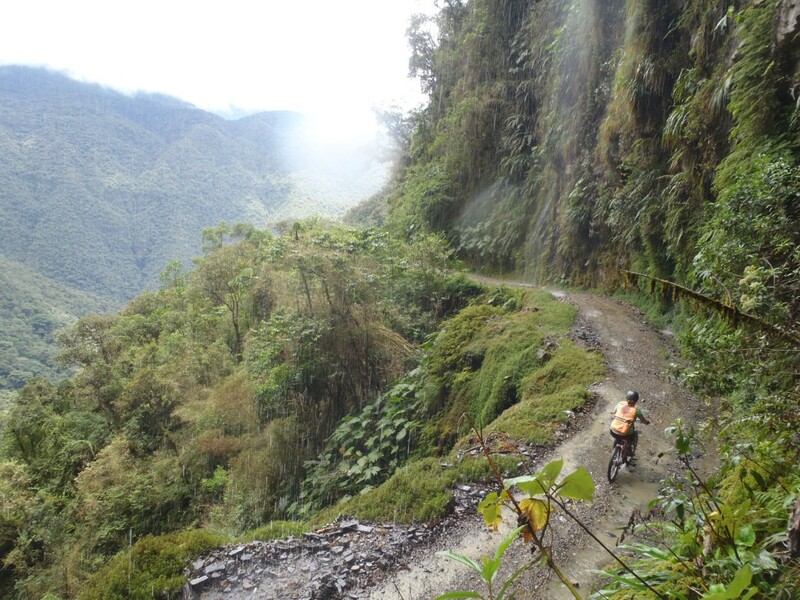 Anyway, during these discussions, one thing in particular kept coming up- this thing called ‘The Death Road’. 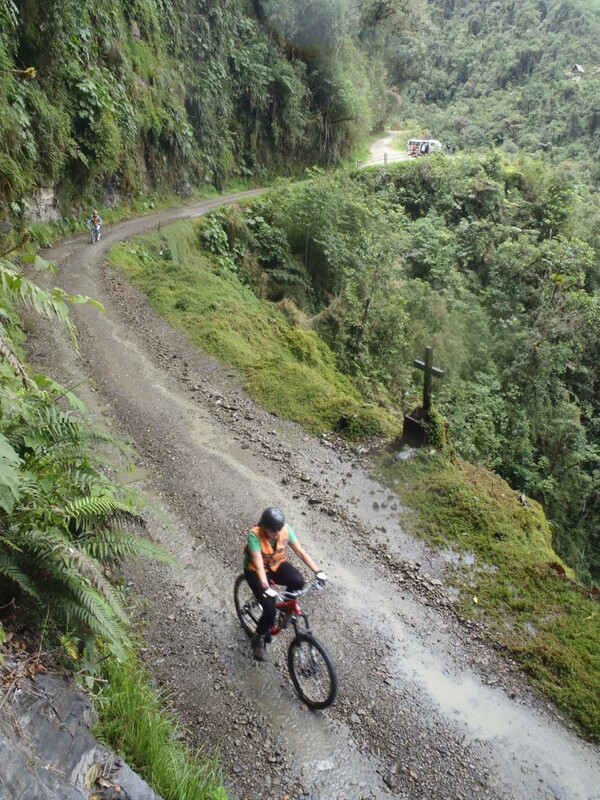 Now, if you know anything about me, you know that I’m not one to shy away from a Class 5+ adrenaline rush, but still, I found myself a bit wary of taking on something known as ‘The Death Road’ without knowing more about it. 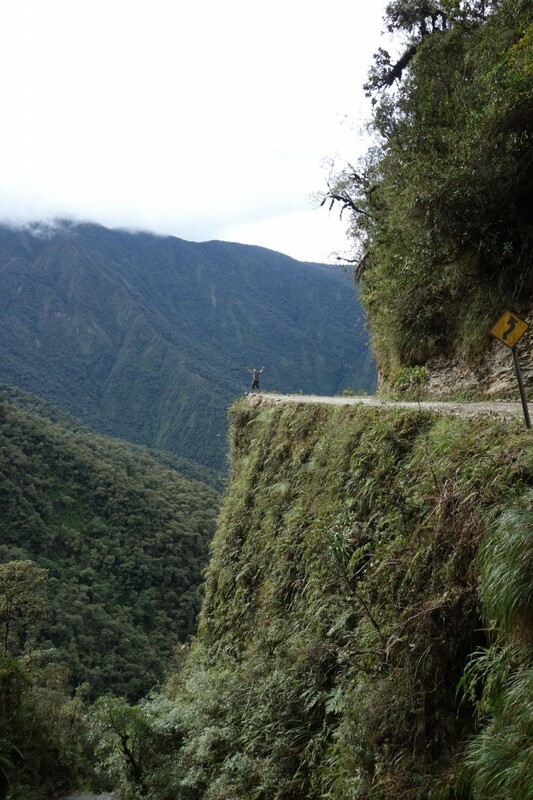 Questions began popping into my head, the first being ‘How, exactly, does a road obtain a name like ‘The Death Road’? ‘Through a close association with DEATH,’ I supposed. Regardless, I was intrigued, and with trepidation, began to look into what this ‘Death Road’ was all about. 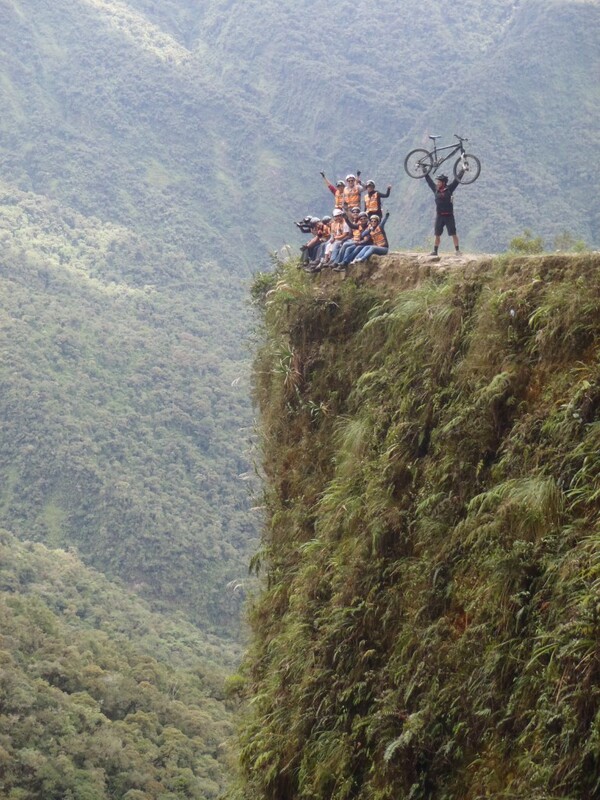 I came to find out that ‘The Death Road’ has an alias- ‘The World’s Most Dangerous Road’, or WMDR for short. 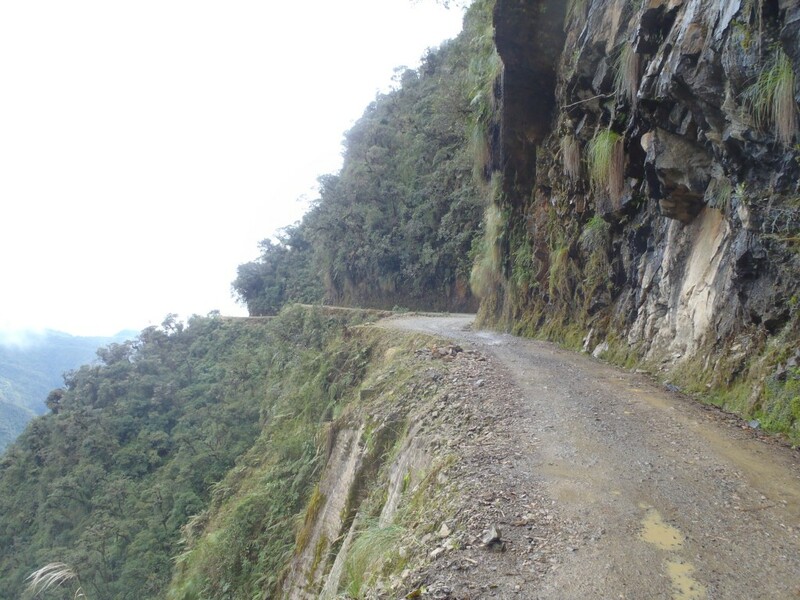 I also learned that the road earned this nasty reputation during its use as a main thoroughfare between La Paz and the Bolivian coca plantations between 1930 and 2006, with one estimate claiming an average of 200 people killed per year along its treacherous route. 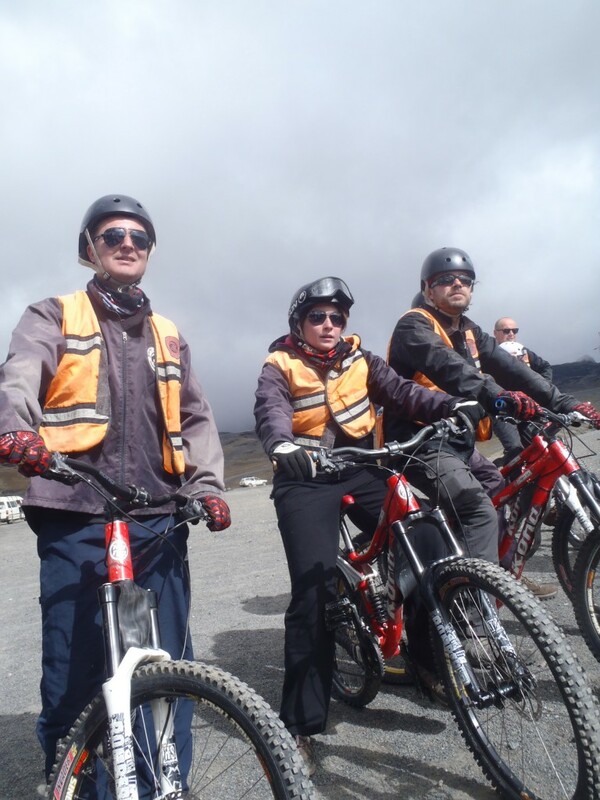 Since the ‘new road’ opened in 2006, the old road has ironically become a major tourist attraction, with numerous operators in La Paz offering full-day mountain biking trips down the infamous road. While there have been several bike-related accidents reported, I convinced myself that the ‘Death Road’ moniker was more a product of the past. 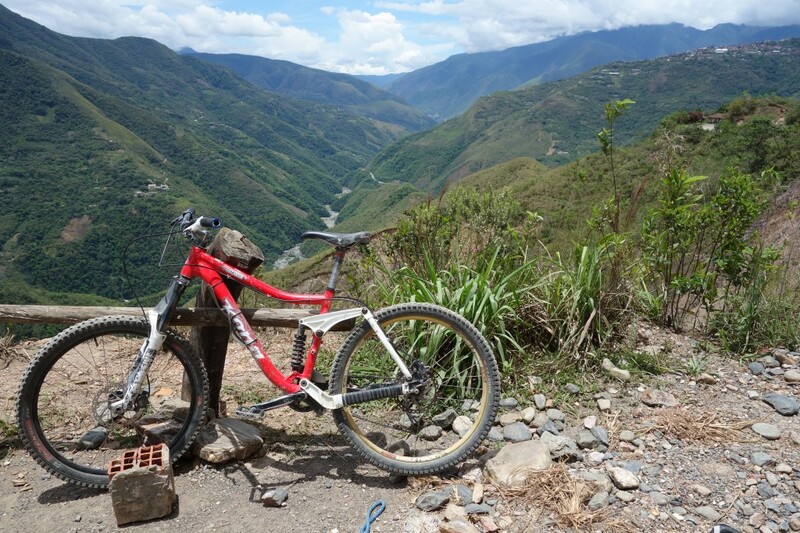 I had mountain biking experience, I could handle the curves and the terrain… It was a ROAD, for crying out loud! How dangerous could it be? That’s how I found myself in the lobby of my hostel at 6am on a cold morning in La Paz, waiting for the bike company to pick me up. Once we reached the bottom of the road, our hands aching from the non-stop vibrations we had endured over the past 3 hours, it was time to relax and celebrate. 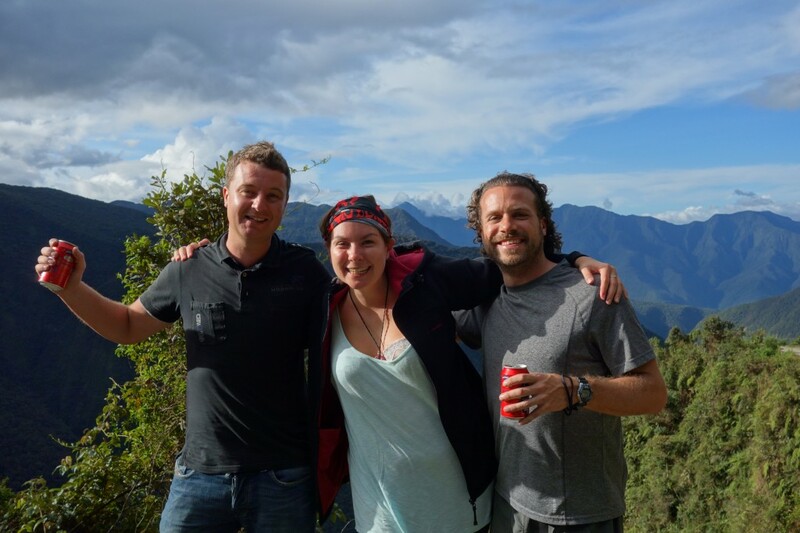 You’ve got to hand it to the Bolivians- cold beer, good music, and a place to prop up your feet after the intensity of taking on the Death Road- a perfect welcoming party at the bottom of the trail. 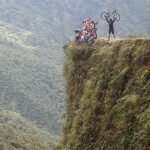 We hung out there for awhile, and then piled back into the van for the long, slow, winding drive back up the Death Road. Honestly, that was the scariest part for me. When you’re on the bikes, you’re so focused on staying under control and keeping your wheels on the trail that you don’t have time to actually look around and see the MASSIVE drops you are whizzing past, just over the edge of the road. You’re almost oblivious to the danger (almost…). On the way back up, there’s nothing to distract you from the reality that the wheels of the van are mere INCHES away from the edge of the cliff, and a loooooooong fall down to the valley floor below. I had the privilege of sitting on the cliff-side of the van as we wound our way back up, and there were SEVERAL times I felt my stomach turn over when peering out the window into the abyss of the canyon. INSANE. Lucky for us, our driver had been up and down that road thousands of times over the past 30 years, and knew every turn like the back of his hand. Still, there’s a reason they call them ‘accidents’… Needless to say, we were all extremely happy when we finally reached the top of the road, and breathed a collective sigh of relief as we toasted an awesome day on the WMDR- we had survived The Death Road! 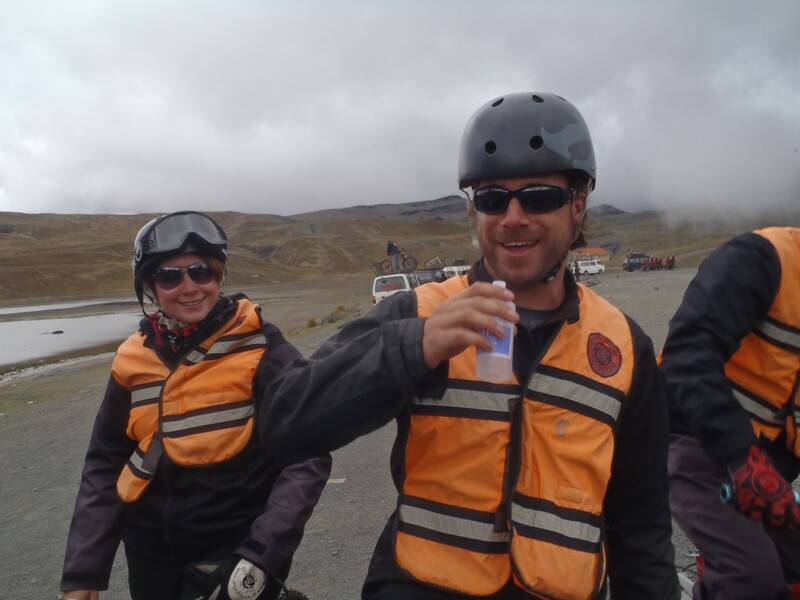 Raising a toast with Ruth and Ger- after the looong bus ride back up, we’re just thankful to finally be off The Death Road. 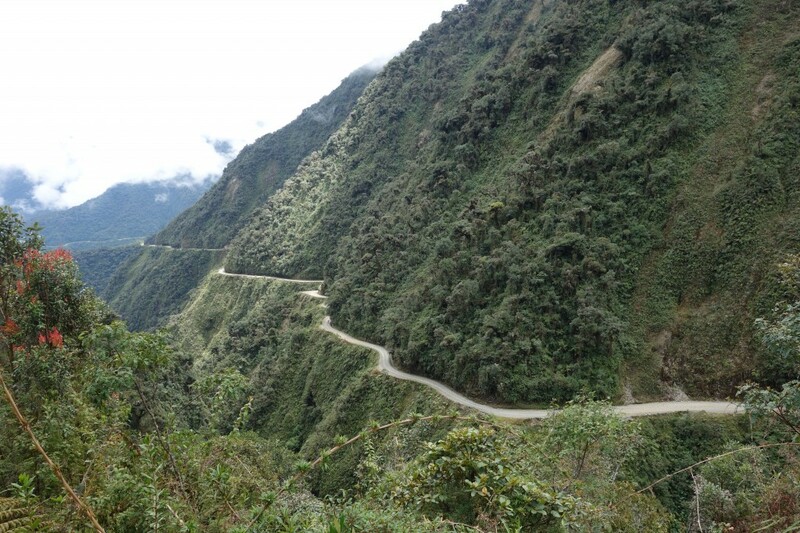 For more information on the Death Road and traveling through Bolivia, click here. 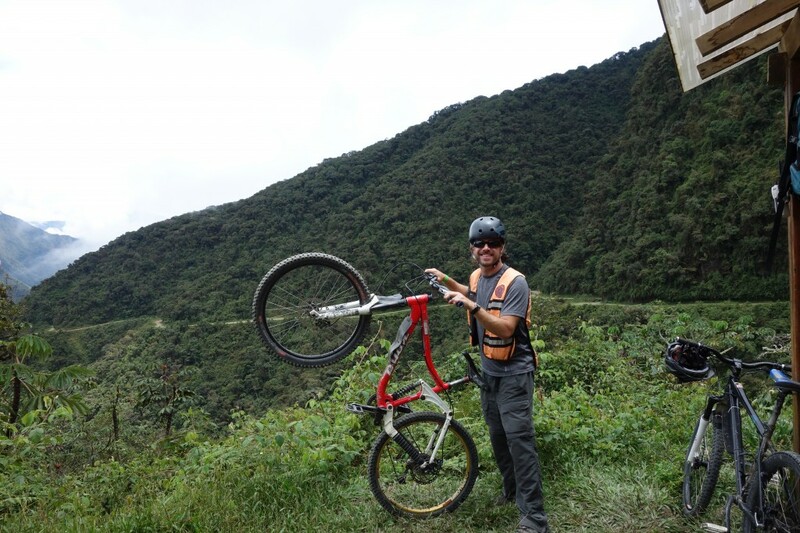 For more on The Backpack Professor’s travels through Bolivia, click here. Very exciting with awsome views. 3 hours straignt is a terrific ride! Glad your alive my brother… The WMDR didn’t have anything on you!